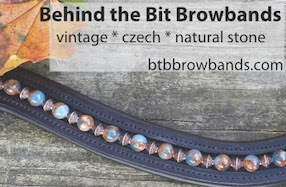 Behind the Bit: Part VI: Ebay outcome: A resolution at hand! Part VI: Ebay outcome: A resolution at hand! If you've read parts I, II, and III, IV, and V of my saddle saga with Ebay, you know it's a bit of a sore point. Sold a saddle in great condition. Buyers filed damage claim three weeks after receiving it. Saddle returned to me damaged. Buyers got their money back (over $2,200) using Paypal's buyer protection. I'm stuck with a debt to Paypal and a damaged saddle. I appealed and lost. What has happened since then.. I've been having frank talks with Paypal's "Office of Executive Escalations" (collections dept). Whenever they call, I answer and tell each and every rep the full story, in excruciating detail, on what happened to me, and why my Paypal balance remains at MINUS $1999ish. I tell them my prospects for repaying it depend on my prospects for selling my now-damaged saddle. It is not about whether I have the funds in savings, etc., to pay this company. Not gonna dip into savings. Credit rating be damned. I sent the saddle to a repair shop in CT that can work on Black Country saddles without violating the warranty. I asked them to do a full assessment of the saddle, tree and everything else, and to give me a report on the saddle's condition. What's wrong? Is it worth repairing? How much would it cost? There's been some "activity" -- So I'll tell you the rest of the story in Part VII. I've been following this story with interest- I hope that you get satisfaction from this but the sheer stress and annoyance are beyond belief. I had the same thing happen to me this year with our credit card account. A child came to my summer camp for 4 weeks, I have pictures, sign in and out forms, emergency forms ect... They disputed the cost in late Sept and won. They received the charge back and I am in the rear of $1248.00 . People are unbelievable!!! I hope you win this case. FIGHT!!!! Glad you are following through. This was a bad deal for you, that's for sure. The pictures tell a pretty vivid story. Hi! I have been a silent reader for over 2 years now! I have a saddle I need to sell and this is my first time trying to do it. I was thinking ebay but now you have me scared off. Any other places you would recommend? Tips for a newbie tack seller? It is an expensive saddle - $5,000 new and selling for $3,000 and a hard to find type used, so I really hope with the right advertising I can get it sold quickly. 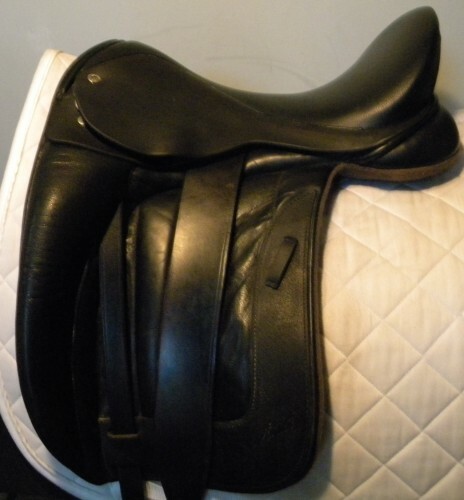 Need a different saddle that will fit my mare better and need this one gone to support it. Thanks for any tips you can give!!! Also a silent reader for a couple of years, but perhaps I can also be of help to you, Sara. I sold a saddle through Pelham Saddlery in New Hampshire (I live in Colorado, so I had to pay to ship it there) and it was a completely painless process. They definitely earned their commission, if you ask me! They created a page for it on their website, complete with a YouTube video, and handled all of the shipping back-and-forth to prospective buyers. A few months later, they sent me a check in the mail. Another place that could be a great option for a nice saddle like yours is FineUsedSaddles.com -- when I was looking for another used saddle, I found that Patricia, who runs that business, was incredibly helpful. I must say that I really admire your spirit and intelligence. I am convinced you are right and that you are going about your grievance in the right way. I am learning quite a bit about how to deal with the "real world" when you have been placed in such a situation through no fault of your own. I am betting that the buyers will cave in and admit what they have done when they see how professionally and fairly you have gone about this. Good luck! Hi Sara, A few tips from hard experience... If you sell on ebay, consider a return policy so that people don't resort to disputes to get their money back. For me, this is not an option (at least as risky as no returns) but it was recommended to me by others. Also, NEVER sell to people of uncertain track records on Ebay, but esp. for expensive items. I think there is an option under "selling items" to exclude buyers who have few sales or problematic histories. If someone with only one or two sales buys your item, contact them and explain your concerns and offer to refund their money. Then you can go to Ebay and have them refund you the commission they charge. That said, I would never sell anything of value on ebay -- never sell an item there for more than you can afford to lose, IMHO. Personally, I would rather look for facebook pages that list tack in your local area (there are two or three where I live and that is where I am selling now). Check your local GMO newsletters to see if they have classifieds. Your question is interesting -- I'll do a blog post on this soon. The Ebay and Paypal forums have good advice on this matter too.